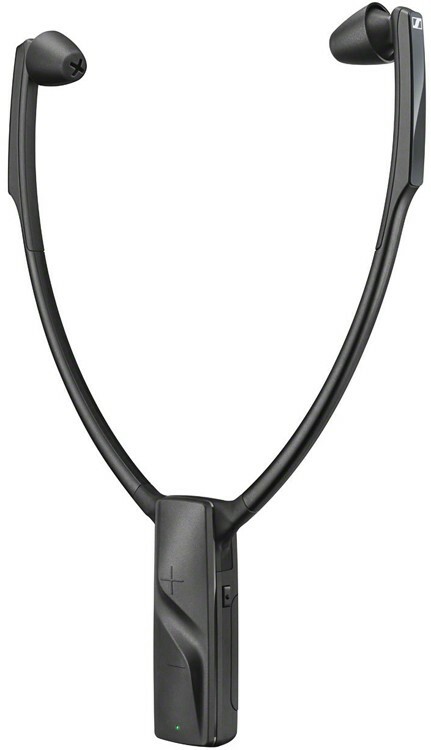 Sennheiser RS5000 Stethoset Headphones is a wireless TV Earphone offering ultimate comfort and a long-life battery. Sennheiser RS 5000 are smart stethoset headphones allowing you to customise your TV sound experience according to your own requirements. You have three different hearing profile options, designed to improve films. Television or music listening. The RS5000's use Sennheisers exclusive Speech Intelligibility technology, that is designed to improve the clarity of speech, enacted at the press of a button. The RS 5000's ensure prolonged and enjoyable TV listening experiences, by combining contemporary digital wi-fi technology, with intuitive handling, and guaranteeing comfort and longevity. The old adage is that if you can hear it, you can enjoy it. Sennheiser believe that great TV shows can be significantly improved with great sound. 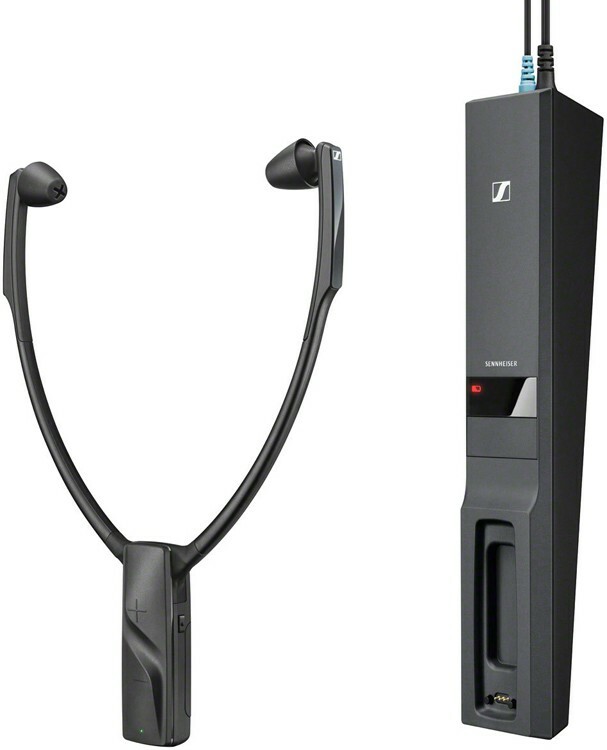 Sennheiser have designed the RS 5000 to facilitate hearing films or TV shows with the authenticity they deserve. These headphones are highly versatile, you can alter the volume and balance to suit your desire; you can freely move around while listening, since the RS 5000 is wireless and ultralight. Therefore. you listening experience will not only be improved by made wireless too. With the RS 5000, your TV will deliver audiophile Sennheiser quality in sound. 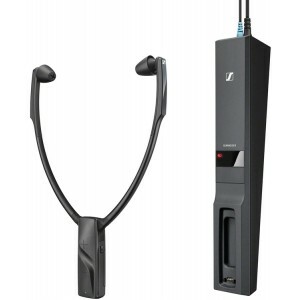 Sennheiser understand that no two hearing deficits are the same, so they have included separate adjust for the volume for left and right sides, so you will receive a perfectly balanced sound for yourself. Once you have found the correct left-right balance, you just sit back and let the music or clear speech indulge your senses. By employing wireless technology you will be able to move around freely within a range of 50 metres, and with 9 hours of playing time thanks to the battery. Plus, the RS 5000 is especially ultralight, so you can enjoy the freedom of wireless listening without noticing you are wearing. The RS 5000 feature a specialised Speech Intelligibility algorithm, that makes speech not only clearer but also increases comprehension by removing any masking background noise that can interfere with speech. The additions of Sennheiser proprietary technology means these headphones provide for a relaxed comfortable listening experience. The RS 2000 is easy, to control, they are compatible with analogue Television outputs. Very comfortable to wear the RS 5000 does not put pressure on the outer ears or temples even with prolonged listening sessions, something that those who wear glasses will surely appreciate. Another feature of the RS 5000, is that they turn themselves off when not in use. The RS 5000 is completed with a base station that is a stylish and subtle addition to any home TV system. Furthermore, the base station is also a docking charging station that lets allows you to neatly store your headset in a compact, tidy horizontal position when charging the integrated battery.